Britain's Prince William and Kate, the Duchess of Cambridge arrive for a visit to 'The Corner', where they participated in an anti-bullying workshop as part of their visit to Dundee, Scotland. 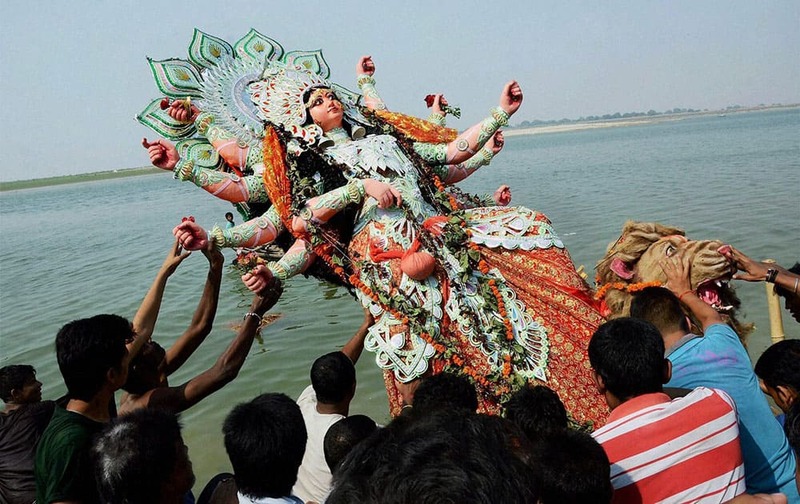 Devotees immerse an idol of goddess Durga on the bank of river Ganga in Patna. 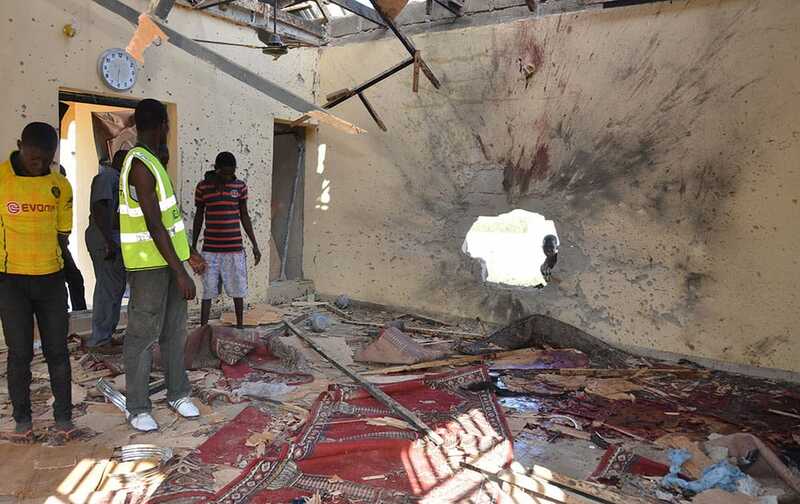 People inspect a damaged mosque following an explosion in Maiduguri, Nigeria. A self-defense fighter says twin bomb blasts have killed at least 18 at a northeast Nigerian mosque crowded with people observing pre-dawn prayers. 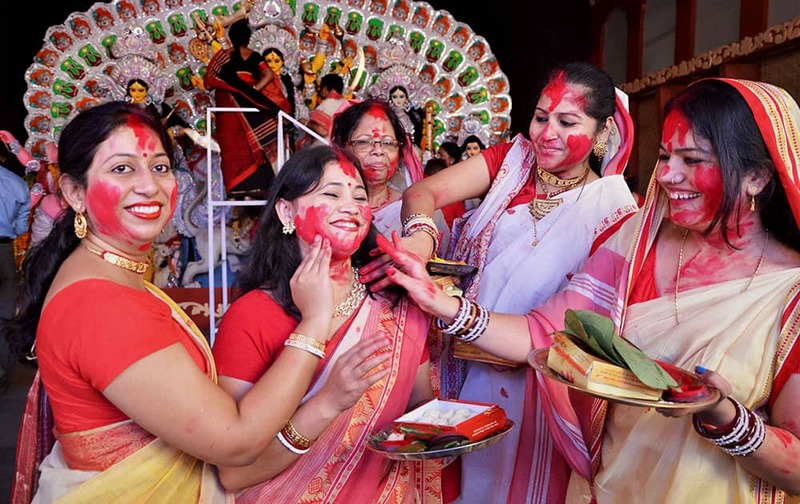 Married Bengali women play with vermilion during Sindur Khela on the last day of Durga Puja in Bhopal. 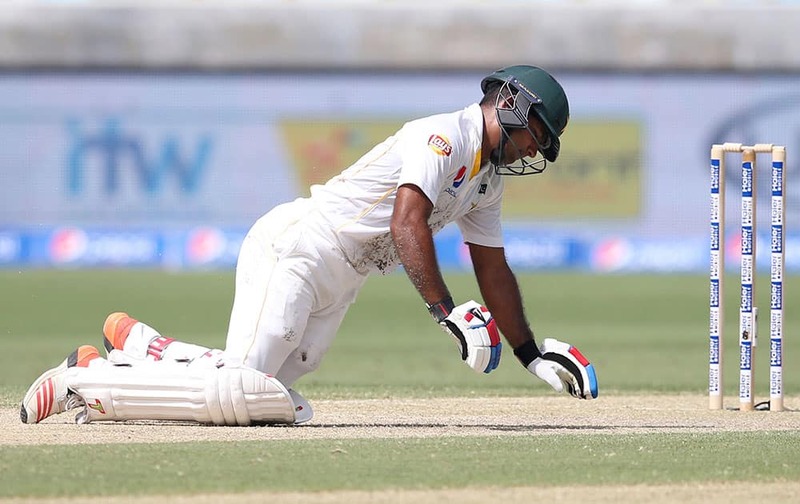 Pakistan's batsman Asad shafiq reacts after he was injured by England's pacer Mark Wood's ball during their Test cricket match at the Dubai International Stadium in Dubai, United Arab Emirates. 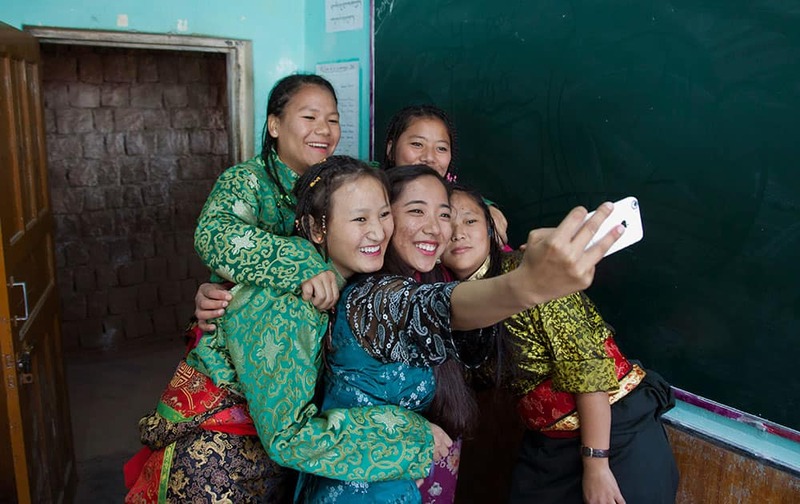 Exile Tibetan school students in traditional attire take a selfie with their instructor, as they wait to perform a song during the Founding Anniversary celebrations of the Tibetan Children's Village School in Dharmsala. 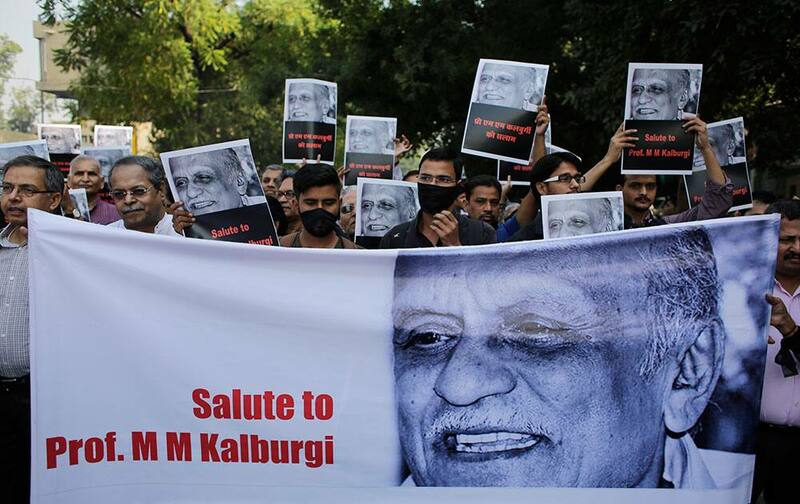 Writers and cultural activists wear black cloth over their mouths as they carry placards and a banner during a silent protest march outside Sahitya Akademi in New Delhi. 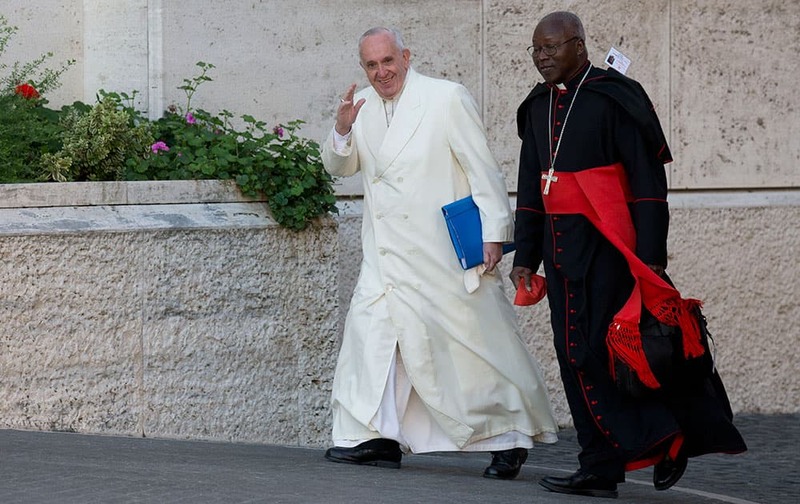 Pope Francis arrives with Cardinal Philippe Nakellentuba Ouedraogo to attend the morning session of the Synod of bishops at the Vatican. 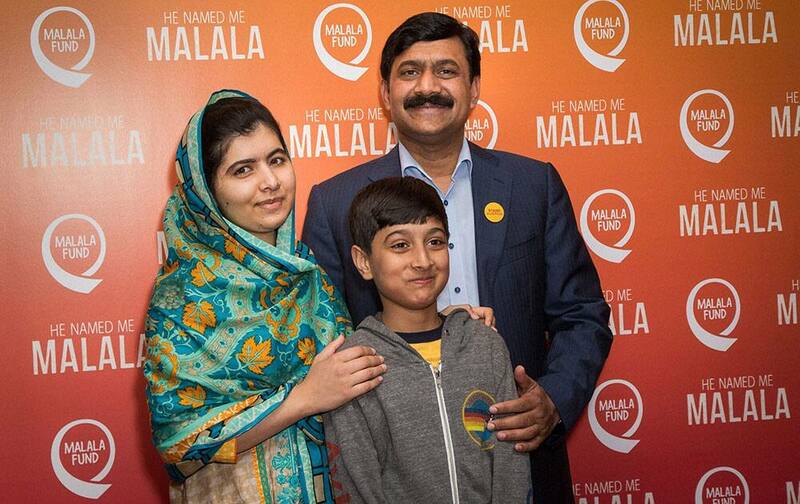 Malala Yousafzai, Atal Khan Yousafzai and Ziauddin Yousafzai pose for photographers upon arrival at the screening of the film He Named Me Malala in London. 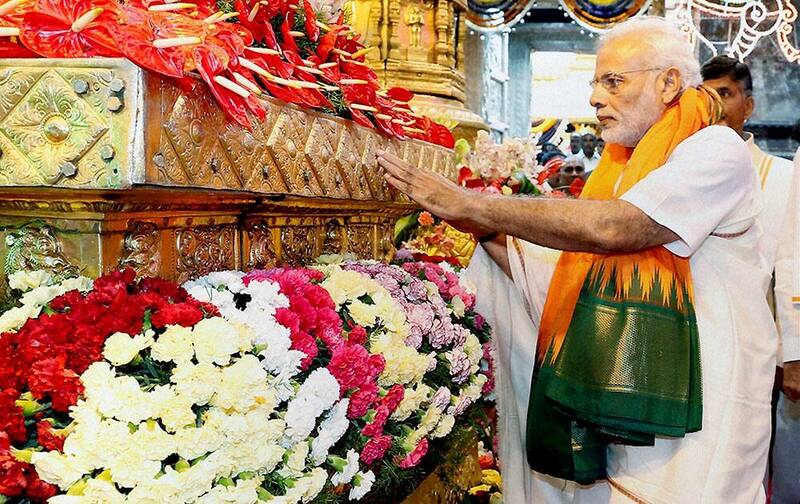 Prime Minister Narendra Modi performing worship at Lord Venkateswara Temple in Tirupati. 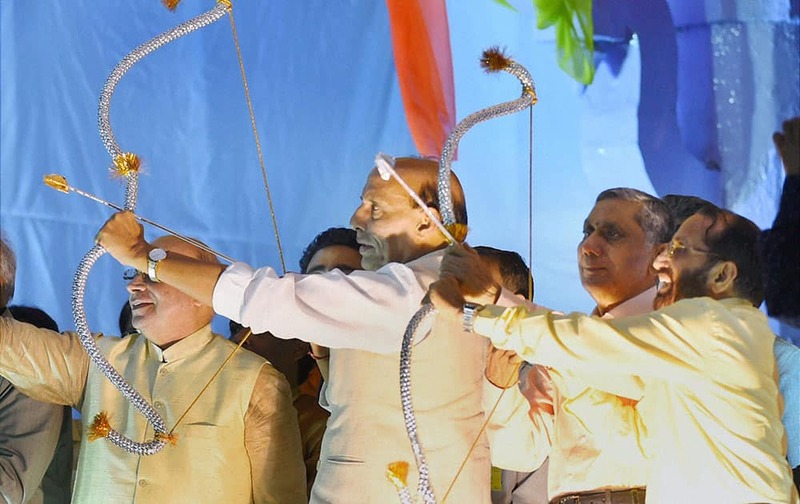 Home Minister Rajnath Singh holding a bow and arrow during Dussehra celebrations at Ramlila Ground. 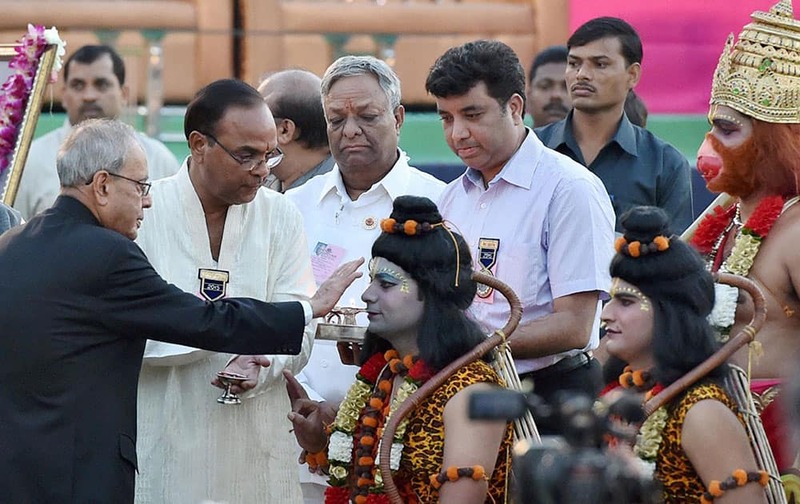 President Pranab Mukherjee performing aarti of artists enacting Lord Ram and Lakshman during Dussehra celebrations at Parade Ground in New Delhi. 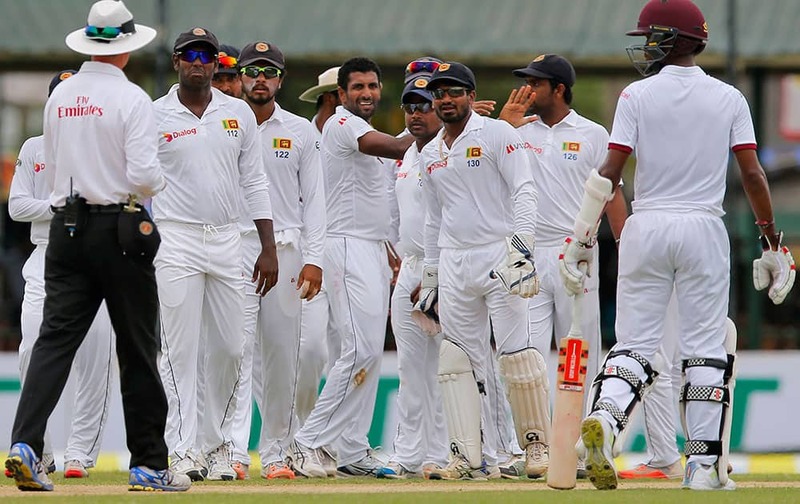 Sri Lanka’s cricket team members congratulate Dhammika Prasad, center, for the dismissal of West Indies' Darren Bravo on the second day of their second test cricket match in Colombo, Sri Lanka.